Heya everyone and a Happy New Year. Last year went so fast and I have to admit I didn’t keep to any of my resolutions for 2014 which you can look back here. I spent the first part of the year in a my own little bubble, happy with my new little family and the other part of the year nursing a broken heart. The events of 2014 have given me the drive and motivation to do better this year. Learn to drive: I’m truly sick and tired of struggling with my pram on the bus. It’s time to get behind the wheel. I've been surprisingly pro active and booked my theory test for a few weeks. Won’t tell you when in case I fail. Driving will give me so much freedom cannot wait. Get fitter, healthier, lose weight: So many times last year I uttered those famous words “ diet starts on Monday”. Monday came, Monday went diet didn't start. Darcy is walking running everywhere and I want to be able to keep up with her. I also don’t feel as comfortable in my skin as I used to, So I'm planning on joining Slimming World to help get to the weight I was most comfortable at. Be more organised: I’ll put my hands up and admit that I am the most unorganised person ever. I always just go with the flow. Being a parent and disorganisation does not work out at all. I never know if I'm coming or going. Darcy has no structure no nap time no bed time aka she basically does what she want, when she wants. This year I’m going to make sure Darcy has a timetable and keep to it, I’m also going to start using the Filofax my sister got me last year. Career: My plan to go back to work haven’t worked due, due to them not accepting my flexible working application form and me not having the funds to go back full time. But every cloud has a silver lining, as I have decided it’s time for a career change so in September I shall be returning to education to do an Access course. Look after my blog: I don’t need to state the obvious that my blog has gone down hill. After breaking up with T I lost my mojo. I don’t want to neglect my little space of the internet again. I’m also going to make a effort and network more in the blogging community. I’ve made some great friends and want to start going to more event. 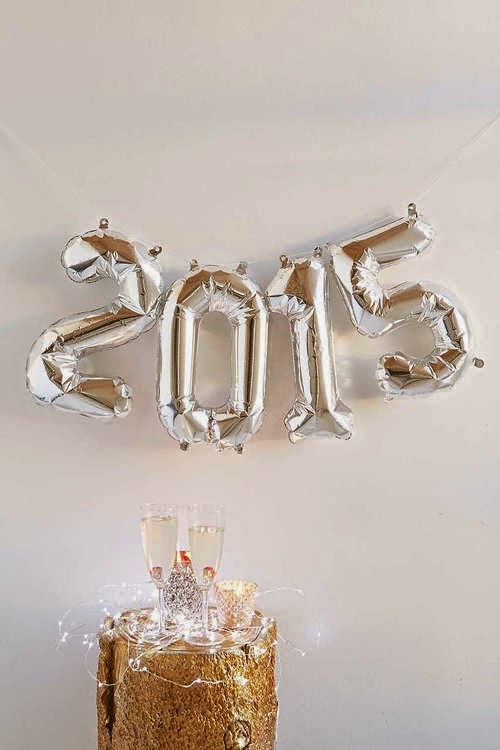 So those are my resolutions for 2015, Did you make any resolutions for 2015? ?